Dark and dreamy florals bloom on this long-sleeve top. Dark and dreamy florals bloom on this long-sleeve top. 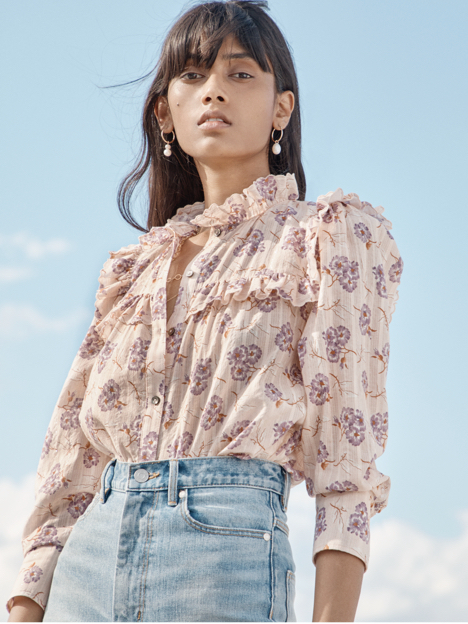 Crafted from a textural chiffon, this lightweight blouse features ruffles along the neckline and shoulders that add even more dimension. Slim ties can be knotted together or left undone to create a draping V-neckline that exudes a vintage vibe.